March in our household is almost synonymous with Irish (themed) food, at least on the days leading to St. Patrick's day, and a few days afterward. This year, I brined my own corned beef (very good! ), made Baileys panna cotta (wonderful! ), and baked Irish car bomb cupcakes (spectacular!). 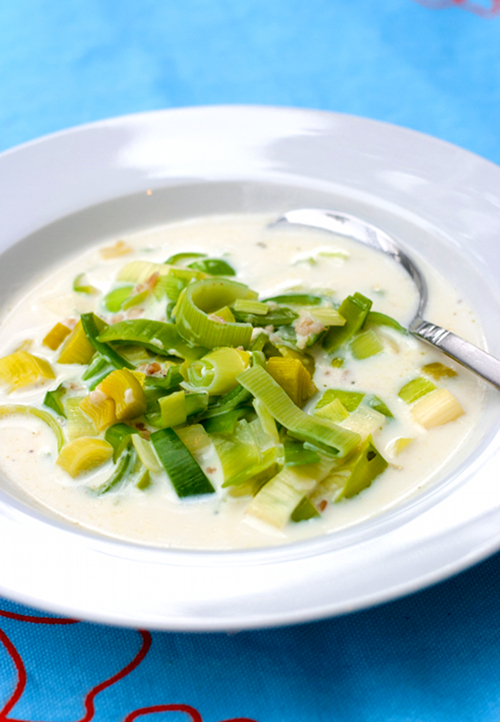 When I found this one soup recipe from my Irish Food and Cooking cookbook authored by Biddy White Lennon and Georgina Campbell, I got very excited and thought that I was perfect for out meatless Monday meal. Despite of the fact that it only has 6 ingredients, the soup certainly did not disappoint. Serve with bread and some jam, if preferred. In a large pot, bring the stock and milk to boil over medium heat. 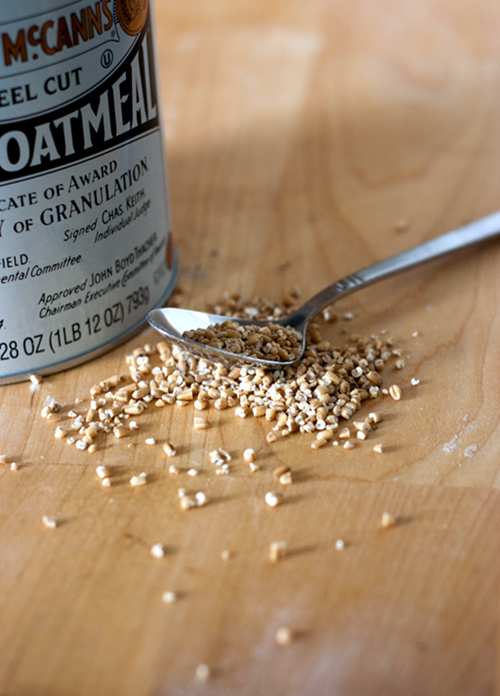 Sprinkle the oatmeal, stir occasionally to prevent lumps forming, simmer gently. 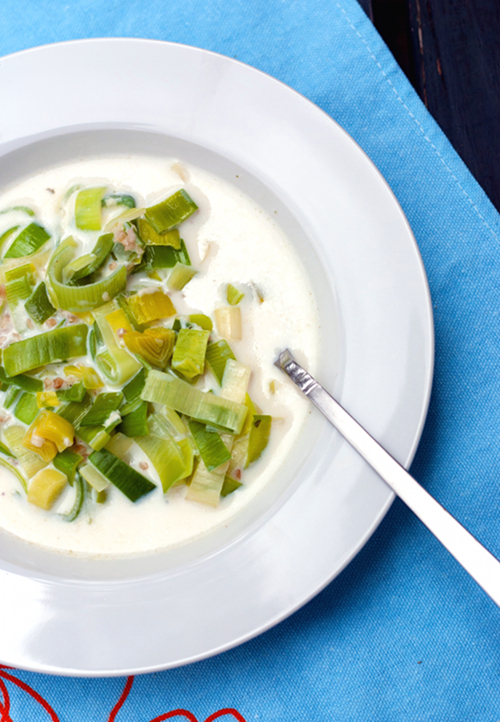 Melt butter in a separate pan, cook sliced leeks over low heat until softened slightly. Add leeks into the pot with the stock mixture. Simmer for about 15-20 minutes, or until the oatmeal is fully cooked. Season with ground mace, salt and pepper. Ladle soup into individual bowls and serve hot.